To get optimal value from social media efforts, organizations need to establish controls for the downsides of the technology by first clearly defining which roles within their unique corporate structure should be involved in social media risk management and their specific responsibilities. Organizations then need to give those roles the proper tools, such as policies and technologies, to be successful at identifying, managing, and mitigating social media risks. 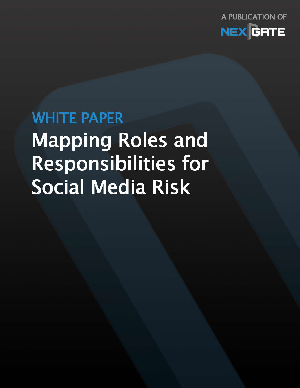 This report will outline a framework for assigning roles and responsibilities to manage social media risk.